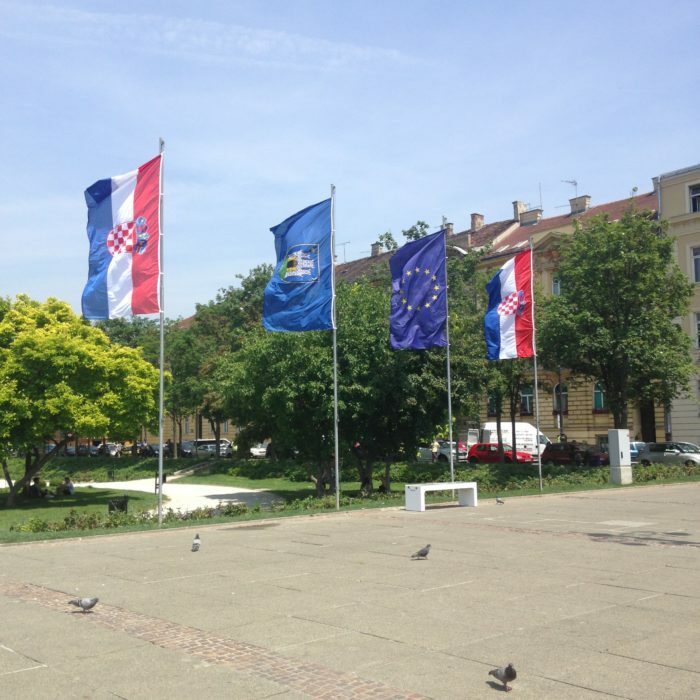 Returning to the European Union on 1st May 2013, Croatia has made many concessions to gain membership. Various sectors have compromised, the example is seen through the agriculture sector. The consequences become important with the departure of young farmers to other members of the EU. « Free fall in Croatia in four years, 24,000 farmers in less » writes the center-left newspaper Novi list, the oldest Croatian newspaper. According to the authorities, between 23 and 24,000 family farms have disappeared since the entry of the country within the EU. Farms are no longer transmitted and new generations are fleeing the country. « The situation is complicated in Croatia but it must be understood that there are important regional and sectoral differences » says Ivan Nino Jakovcic of the Left Center Party (Hrvatska narodna stranka – Liberalni Demokrati – Croatian People’s Party Liberal Democrats). Member of the European Parliament, he sits on the Committee on Agriculture and Rural Development. According to him, a real disparity is visible between Mediterranean and Continental agriculture causing the weakening of the Croatian agriculture. Marijana Petir, his Croatian counterpart at the European Commission, believes that the entry into the European Union has been achieved too quickly, the country was not ready, which has led to the current agricultural crisis. It bears the political colors of the Croatian Peasant Party, HSS (Hrvatska Seljacka Stranka) and believes that « Croatia must find a way to develop agriculture, to revitalize Croatian villages and to provide sufficient income for family farms and agricultural workers.« . « In Croatia, only half of all fruit and vegetables come from total consumption. The livestock are reduced and we import meat. (…) Importing food is a waste for a small farmer because the imported meat is cheaper and, because of poverty, many citizens can not get meat from national farms » explained Diana Marjanović, agronomist. This citizen of Zabok, a small town near Zagreb denounces the mentalities to consume cheaper and not local. His thinking is supported by MP Marijana Petir. « The Croatian farmers, to be competitive with their EU colleagues, should have the same conditions to finance their projects, as well as the assurance that their quality products will have the same opportunities in the market. It is important to prescribe the quality of the products at national level and to check whether the products arriving on the Croatian market comply with these regulations because it is unacceptable that poor quality products are marketed at amortized prices.« . If local consumption is restored, it could allow the attractiveness of the sector and stop the leakage of the new agricultural generation to the other countries of the European Union, more attractive. « Only profitable agriculture will be attractive for young farmers. We have very good examples in the olive oil and wine sector. Especially in Istria« , explains Ivan Nino Jakovcic. The goal remains to restore liver in Croatian agriculture. « The EU is helping with the existing model. We need to change ourselves. Only a new mentality and new ideas with a creative approach can bring more success » says center-left MP Ivan Nino Jakovcic. Young farmers need to think about the new generation of farmers. 5% of them have a higher level of education. It is not much to be able to really understand all the evolutions and the new norms following the entry in the European Union. That’s what Diana Marjanović denounces: « I see a problem in the education of farmers, many do not know how to make money with European funds« . An educational follow-up and a support on the field of the farmers seem necessary to the recasting of the agriculture of the country. « Changing national regulations in the areas of land, taxation, inheritance and land-use planning. Young farmers should be facilitated when they start their work by removing barriers and introducing programs. That would make it easier for elderly farmers to retire » says the farmer MP Marijana Petir. The Croatian problem does not remain an isolated case, young farmers see hopes in their field through the German and Dutch system. It is the reason for the departure of many Croatians to these countries. The CAP reform should, however, strengthen European agriculture as new barriers have to be taken in account with the aging of the population and climate change. Crise agricole – conserver la jeunesse croate Presentation Croatia Croatie, le dernier entrant ? L’UE à la bonne heure?